Alec Baldwin said he will play Trump on 'Saturday Night Live' again | Circa News - Learn. Think. Do. Twitter users on Monday praised Baldwin’s decision to continue satirizing Trump on the popular sketch comedy series. 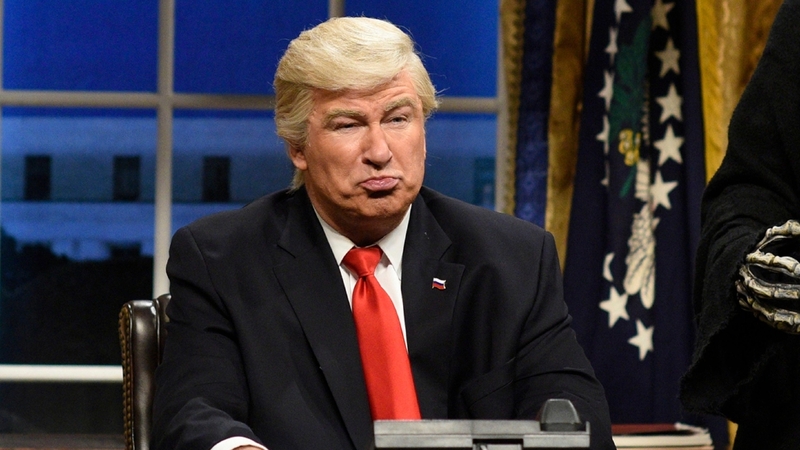 Baldwin has reportedly hosted “SNL” a record 17 times, with his imitation of Trump ranking among his most memorable performances. The actor told “Extra” in March that he was unsure “how much more people can take” of him playing Trump. “There’s a style the president has to have, and I think the maliciousness of this White House is a little - has people very worried, which is why I’m not going to do it much longer, by the way, that whole impersonation,” Baldwin said. “SNL” cast member Kate McKinnon has portrayed White House counselor Kellyanne Conway and Attorney General Jeff Sessions in past episodes of the program.